Today’s report of Prince Phillip’s car accident was uncanny timing. I often pray for the royal family and in my prayer time this morning I felt led to pray specifically for the Duke of Edinburgh. I was praying for his health and safety and thanking God for his continued support of our Queen. Then later today I heard he had been in a car accident. Once again the Holy Spirit led me in my morning prayers. The Prince’s car rolled and it could have been much worse. 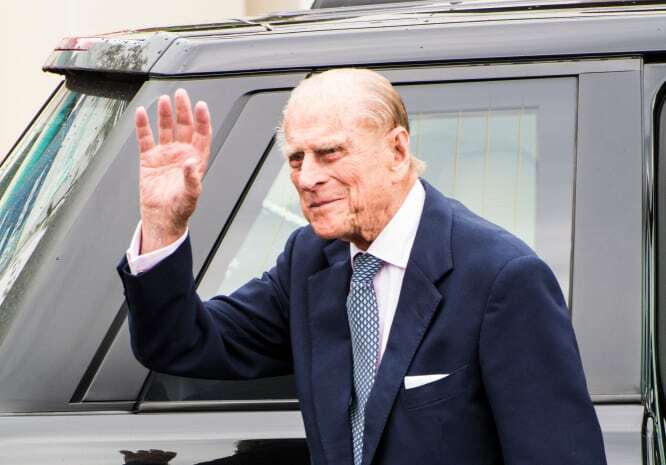 According to media reports two women were taken to hospital after Prince Philip (97) collided with their car while driving near the Sandringham Estate. The Duke and his security detail escaped unharmed but he was said to be very shaken. Our prayers go out firstly for the two women involved that they would have a full and quick recovery. We also lift up the Queen and the Duke at this time, as many others are doing. These include Bishops in the Church of England as well as ministry leaders and high profile Christian commentators like Mal Fletcher. Everybody needs prayer support, including those such as the Royal family who represent our nation. If things go well for them it has a knock on effect for the rest of us. We are blessed with a Queen who openly shares her faith in the Lord Jesus and that is remarkable in today’s world. Her faith has stood the test of time and believe me, we are blessed because of it. The Lord chose to raise her up as our monarch. It’s scriptural to pray for our leaders to ensure they are covered. Praying for our leaders and our nation is a wise thing to do, our Heavenly Father is always looking for righteous people to pray. Prayer is a vital tool in the battlefield of the spiritual realm. The Lord has equipped us and the prayers of a righteous person get heard! We ourselves are not righteous but we have been made righteous by what Jesus did for us on the Cross. As believers, it’s our duty to cover the Queen and the royal family in prayer. Even if you aren’t a fan, it is Biblical to do so.